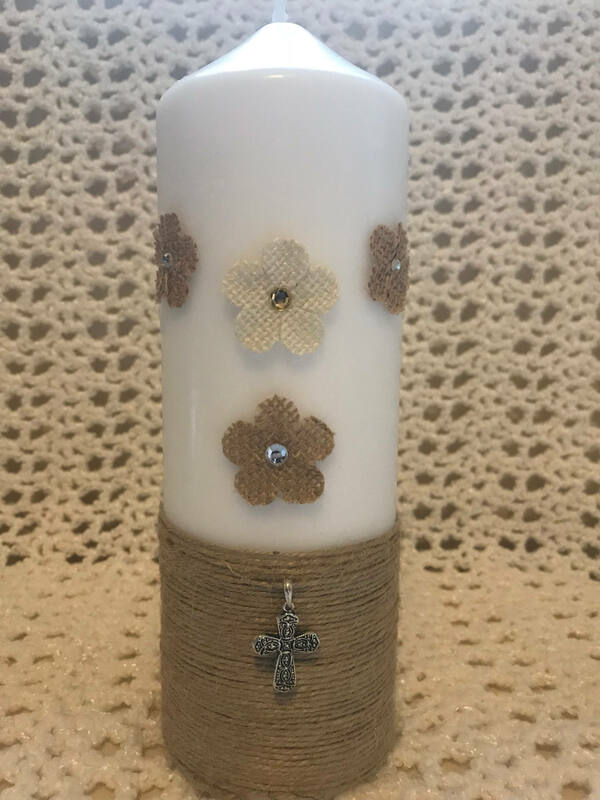 One 9x3 pillar candle wrapped delicately with beige twine beautifully, decorated with a cross and tan/ivory burlap flowers with a rhinestone centerpiece. 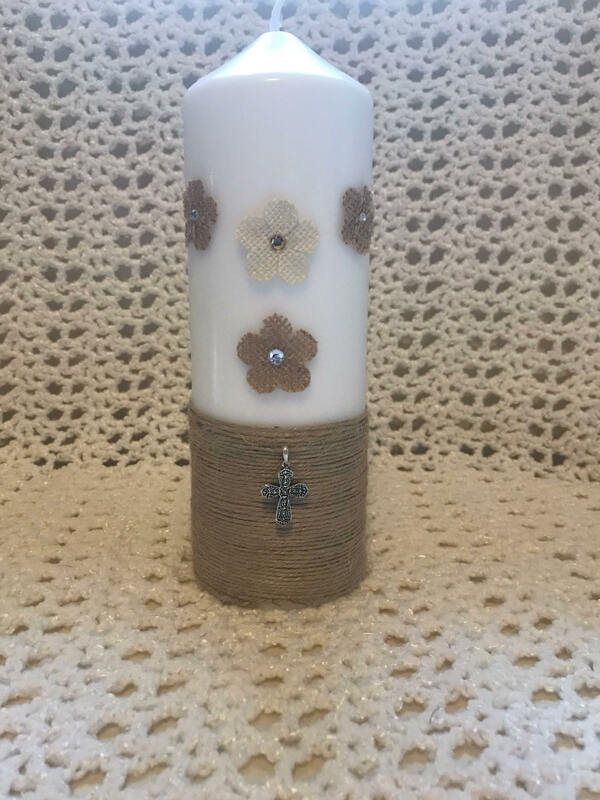 You have the option to purchase this candle by itself or add two 10” taper candles wrapped with twine to match the unity candle. 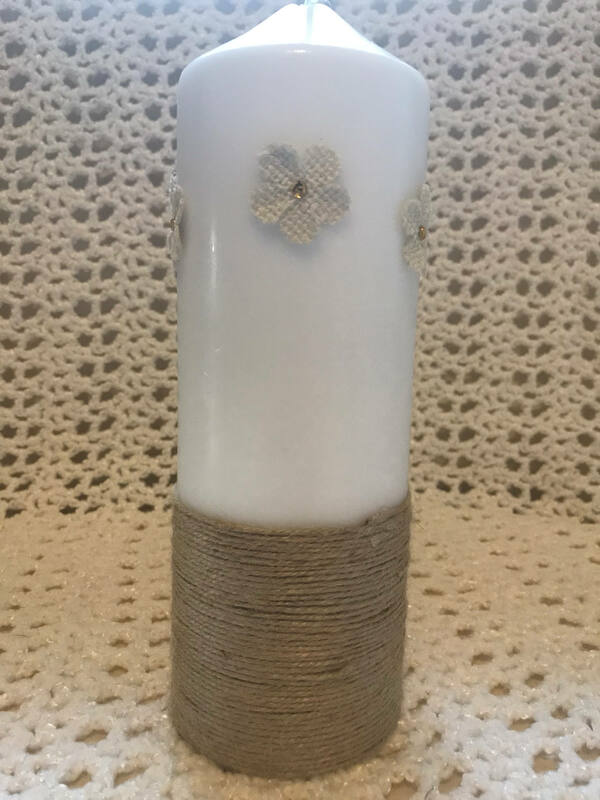 This rustic unity candle is perfect for the couple that are in love with the outdoors and nature. 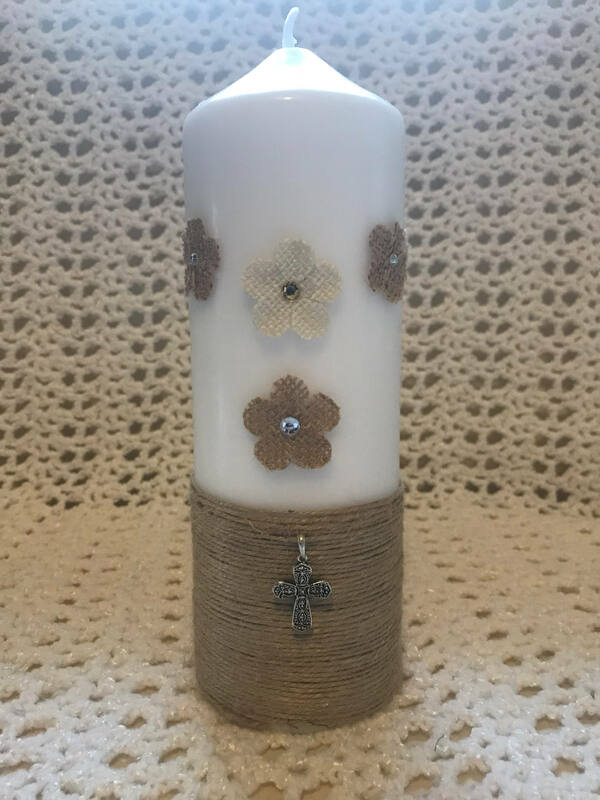 You can purchase this unity candle for a rustic christening as well.